​Bayern Munich winger Franck Ribery is nearing a switch to Qatari side Al-Sadd to join up with former Barcelona midfielder Xavi. 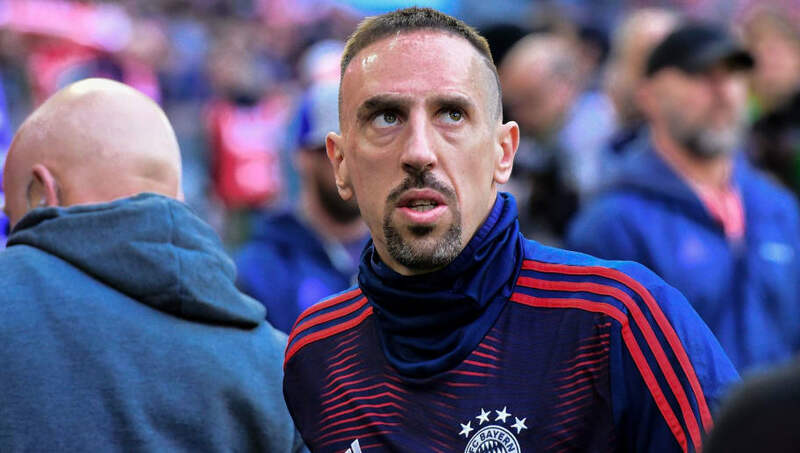 Now 36, Ribery is set to leave the Allianz Arena when his contract expires at the end of the season, with the Bundesliga giants looking to add some more youthful signings in a massive summer overhaul. There has been no confirmation of Ribery's next move, but ​Kicker claim that he could be nearing a move to Qatar Stars League side Al-Sadd. World Cup winner Xavi has been at the club since leaving ​Barcelona in the summer of 2015, and Al-Sadd officials are said to be relying on him to convince Ribery to make the move to Qatar. However, he faces competition from Australian side Western Sydney Wanderers, who are managed by former ​Bayern defender Markus Babbel. The pair never played together at Bayern, but Babbel could use his links to the club to lure Ribery to Australia instead of Qatar. Ribery has made 33 appearances in all competitions this season, but has regularly found himself operating as a substitute. Manager Niko Kovac has often preferred the pairing of Kingsley Coman and ​Serge Gnabry on the wings, whilst new signing Alphonso Davies is expected to play a big role in the first team going forward. The Bavarians were also incredibly public in their pursuit of ​Chelsea wonderkid Callum Hudson-Odoi in January, and they have also been linked with a summer move for the 18-year-old winger as part of their squad overhaul, which has already seen Benjamin Pavard and Lucas Hernandez agree deals to join the club at the end of the season. Since arriving at the club in 2007, Ribery has gone on to make 420 appearances for Bayern, racking up 122 goals and 183 assists in the process. He has won eight ​Bundesliga titles, and will be keen to add a ninth to his trophy cabinet before moving on. Bayern currently sit one point ahead of rivals ​Borussia Dortmund in the league table but, with five games still left to play, it certainly is all to play for.